Philippine Business Bank is on track to meet growth targets in terms of expanding its network and establishing new branches; especially in rural areas where there are small and medium enterprises (SMEs). “We are assertively pushing into new growth areas, talking and meeting with other banks and stakeholders, discussing acquisition and expansion. Currently, we have 122 branches in operation and we are scheduled to open four more next month,” disclosed PBB president and CEO Rolando Avante. In a briefing with the media, the PBB president added that the bank has filed applications to the Bangko Sentral ng Pilipinas (BSP) for 17 licenses for new branches and is set to meet its target of around 140 total branches by year end. As the financial arm of the Yao Group of companies, the 18 year-old bank is also looking to get 10-15 more licenses in restricted areas. 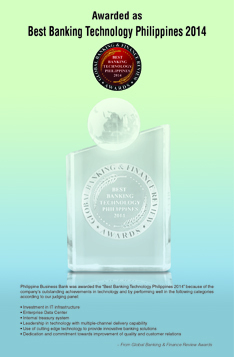 The fast-growing thrift bank, with majority of branches in Luzon and the Metro Manila area is focused on putting up additional branches to reach out to the growing SME industry which accounts for 63 percent of PBB's total loan portfolio. 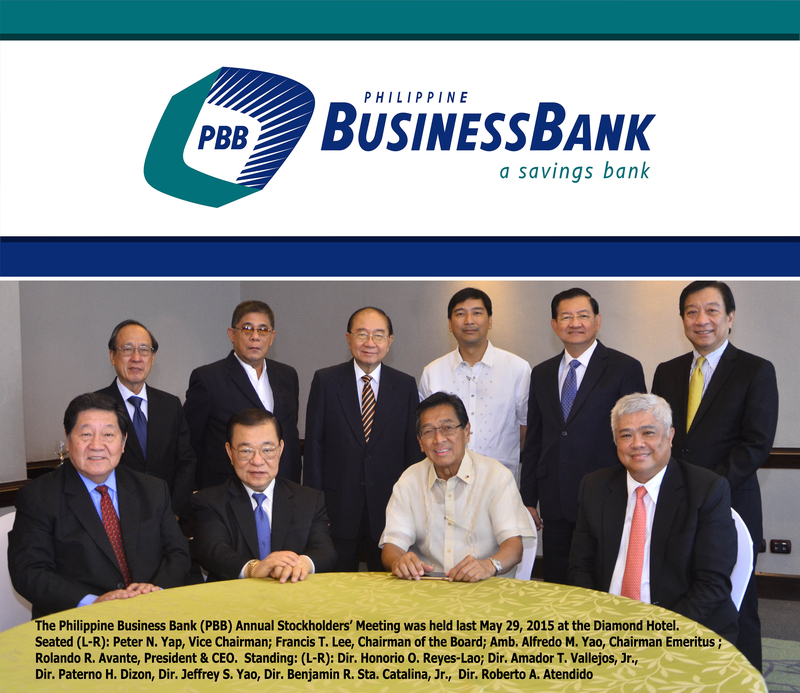 Back in early 2013, PBB has announced an initial public offering (IPO) at the Philippine Stock Exchange in Manila to fund its nationwide expansion to 100 branches by the end of 2013. The IPO raised $98.8 million. As of end of December 2013, PBB had a total of 100 branches across the country and received regulatory approval to open up 26 new branches in 2014 in various locations in Luzon, Visayas and Mindanao as part of its purposes of expanding its network closer to the SME market. The PBB president also discussed a new strategy to remain competitive in the banking industry. “We are now employing a franchise strategy in our new acquisitions. The new branches, when they open, they become a distribution center; taking deposits and looking for clients as well as an outlet for other products such as insurance, trust, loans and other fixed income securities. From a traditional banker, the branch manager will now take on the role as a business manager. With this method, there will be expectation of a better income,” he shared. This year, the key driver for asset growth will be the opening of new outlets, the branch expansion in high growth areas where robust SME markets are located, specifically on the provinces and secondary cities. The management is also looking for connections and ways to expand in the Visayas-Mindanao area in the light of the upcoming entry of foreign and regional banks as part of the ASEAN Financial Integration. “These are exciting times for PBB. When the regional banks come in, they will be looking for local partners to acquire thru a joint venture or take over a bank and there will be more players. When this happens, the beneficiary would be the consumers, as the ensuing competition would mean better service and lower rates. For us, what we lack in size, we do in other areas, especially in quality of service. After all, banking is a more than a transaction, it’s a relationship. 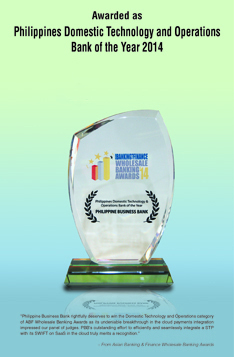 And that is why, the PBB remains the bank of choice for SMEs,” Avante conluded.